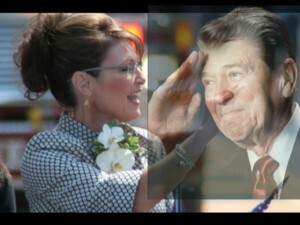 Governor Palin’s Speech to Military Families – May 2, 2011 retrieved from PalinTV. SarahPAC has replaced Neo-Conservatives Randy Scheunemann and Michael Goldfarb of Orion Strategies with Peter Schweitzer, Conservatives4Palin and ABC News today reported. 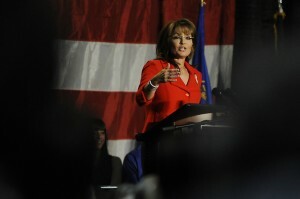 Scheunemann had been with Governor Palin since the McCain-Palin campaign of 2008. Both Schuenemann and Goldfarb said they left SarahPAC on good terms, and SarahPAC Treasurer Tim Crawford corroborated their account. Scheunemann and Goldfarb advocated an internationalist policy, eager to use force. Schweitzer, a Hoover Fellow is a Reagan Conservative and believes force should only be used when there is a clear and present danger to our interests. H/T Whitney Pitcher, Conservatives4Palin for Adviser story lead; Sheya, Conservatives4Palin for Five-Point Military Doctrine. Raises $40,000 for survivors of fallen soldiers. Governor Palin last night honored our troops at a Colorado Christian University rally and fund-raiser, in which $40,000 was raised for survivors of fallen soldiers. In her speech, Gov. Palin thanked Presidents Obama and Bush for the death of Osama Bin Laden, the mastermind of the 9/11 attacks, the USS Cole Bombing, the Khobar Towers bombing and numerous other atrocities. An overflow crowd of 1200 attended the fundraiser for the Tragedy Assistance Program for Survivors (TAPS), according to ABC News. 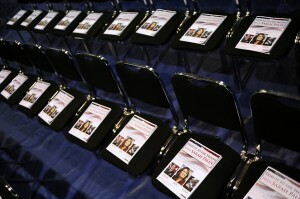 Governor Palin’s Tribute to the Troops at Colorado Christian University – May 2 2011 retrieved from PalinTV.